A collaboration between the MacKenzie Art Gallery and Dunlop Art Gallery, No Story Too Small to Trade depicts the phenomenon of, love affair with, and introduction to Artist Trading Cards (ATCs) in Regina. 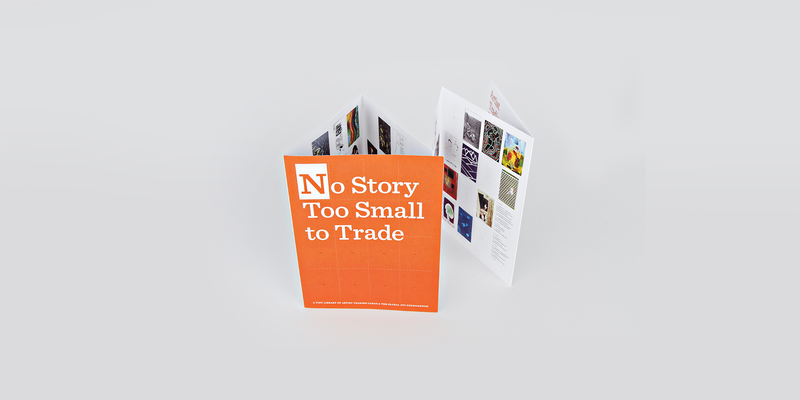 The accordion fold catalogue serves as a tiny library of Artist Trading Card submissions in a perforated format which reflects on the sharing nature of the craft. The publication originates from an exhibition organized by the Dunlop Art Gallery.